to young children because it uses beautiful images to describe a range of feelings. It’s important that children learn that it is OK to have their feelings. What matters is how they express them. When your child is calm, discuss with them ways they can calm down when they are upset. 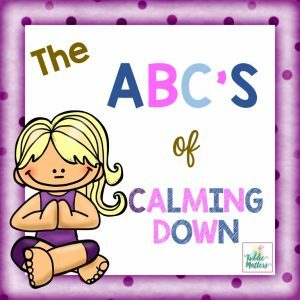 The ABC’s of Calming Down is a great resource that contains 26 alphabetized calm down strategies to help children calm down. 9. Praise your child when they use words to express their feelings. Having the self-control to express your feelings appropriately is no easy feat. There are many adults who are unable to do this. When your child tells you how they are feeling instead of having a complete melt down, praise them for doing so. Be very specific. For example, “I like how you told your sister that you were sad when she called you names. That was very mature of you.” Praising your child for practicing good behavior makes them more likely to do it again in the future. It also lets them know that you are watching them and notice when they do good things. It is important that children learn how to identify and express their feelings in an appropriate manner. Kids who are able to express their feelings are less likely to have meltdowns and temper tantrums. They also have an easier time making friends and getting along with others. For additional resources on teaching children about feelings, check out these Feelings Task Cards. In what ways do you foster your child’s emotional intelligence? I’m glad you found some useful tips:-) Thanks for stopping by! Oh my goodness! Such a great post! Not only great for all parents, but this should be an article in special education resource libraries everywhere! Thank you. It validated what I was already doing and gave me some new tips as well. I love children’s lit for this reason. Here’s another good one we love. I will have to check out Wilma Jean worry machine. I’ve been looking for good children’s books about worry and anxiety. I’m glad you found this post helpful. Thanks for stopping by! Thank you for sharing these wonderful tips. I plan to put them to good use with my 5! Thanks for this. Sometimes it’s frustrating trying to explain feelings to a child. I think these tips will be really useful in encouraging them to use their words instead of lash out or tantrum. You’re welcome! Sometimes children are a ball of emotions and it makes all the difference when they learn how to safely express their feelings. Thanks for stopping by! Fantastic tips! 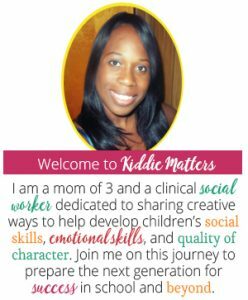 I interned for a year in an elementary school guidance department, and part of the work I did was helping children in the younger grades to identify and understand their feelings. Heck, a lot of adults need help! I am a huge fan of reading feelings-related books (And The Way I Feel is one of my favorites!) Thanks for sharing, stopping by from Mommy Monday Blog Hop. Thank you!Learning to identify and express feelings is such an important skill. I completely agree with you about some adults needing help with this. I don’t know why people are so afraid of their feelings. We all have them! Thanks for stopping by! They have helped to decrease the many meltdowns my children use to have. They still have meltdowns, they just don’t last as long. Thanks for the kind words! Good tips! It’s so important to acknowledge children’s feelings and to help them to label them, rather than encourage them to “stuff” them. So true! Once they get into the habit of stuffing their feelings it becomes so hard for them to course correct. Thanks for stopping by Leslie! Such important points, especially for the preschool/K age. I’ve found that it DOES help to encourage a child to identify the feeling he/she has, rather than merely addressing the behavior. So much less physical confrontation between the little ones when they learn to identify & “talk it out”! I agree. It’s much easier to deal with the behavior once you can identify the feelings triggering their behavior in the first place. Thanks for stopping by! Thank you! I find that between the ages of 2 and 3 kids struggle the most because they are still working on developing their emotional vocabulary. Hopefully this helps. It helped my kids a lot. Thanks for stopping by! This really helps. I have a 5 year old that struggles a bit when it comes to expressing herself. Thanks. My son was the same way…still is! Good luck and hopefully this helps. Thanks for stopping by! Wonderful ideas! Last year we were dealing with a cranky 6 year old, so we bought the book “Crankenstein” around Halloween. We ended up giggling and sharing an “ah-ha” moment with our son, and that really seemed to work. Thanks for sharing! Thank you!. I will have to check out Crankenstein. I love the name. These are some amazing tips and I love this song. This bookmarked, I want to teach this to my youngest grandson. I’m glad you liked it. The song inspired the post. My daughter listens to it over and over. I hope your grandson likes it! Thanks for stopping by! Great post. I think my children have a hard time expressing how they feel sometimes. I may have to try a few of these ideas. It makes such a difference when children have the language to express their feelings. 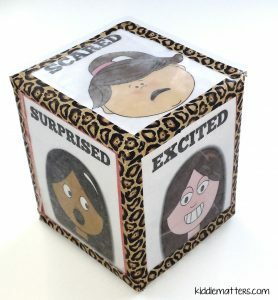 I think it’s important to teach children about the different feelings and emotions. It takes away a lot of the mystery to them. This is a really helpful and useful post. Thank you so much for sharing these tips. Love these and think that I need to read the calming down book as my little ones struggle with this. Glad you like them. Hopefully it helps you and your little ones out. Glad you stopped by! great tips! I especially love the song example (I can only ever remember the happy one). Talking about feelings is something I do every day (for work) so I never sit back and reflect on what I am doing with my son, I guess because it is now second nature to me, but I love your tips! So helpful! Sounds like you might be a fellow therapist 🙂 The great thing is most of the things that help children learn how to express and identify their feelings are things that parents already do with them! Thanks for stopping by! Really great ideas here! We are quite an expressive family,we always ask the question “How would you feel if they did that to you?” And it seems to open their eyes as to how it would make someone else feel when they do it to them. These are all terrific ways of teaching our children about their feelings. I remember telling my daughters, “Use your words,” and realizing the same as you stated above that they honestly couldn’t use their words as I had not taught them which words were needed. I’m glad the light bulb above my head went on because once I taught them how to properly communicate what they were feeling the temper tantrums and outbursts began to fade away. Thank you for linking up with us at Party Under the Big Top! I’m glad you were able to make it over to the #BigTopBlogParty this week! Hope to see you again at the next Party Under the Big Top! As a reminder, we go LIVE every Tuesday morning at midnight EST! Another way that we teach feelings is by telling our daughter what WE are feeling, especially if it is a strong emotion so she can put a name to what she sees. I think this helped her learn them quickly, and also know that feelings are something we all have and talk about. These are some really great ideas! Thanks for sharing at the Bloggers Brags Party this week. I’m pinning this to the Bloggers Brags board on Pinterest. Be sure to come back again this week! This is a fabulous round-up of really great activities! I’ve pinned this to my Deliberate PARENTING board. This is SO wonderful! Thank you for sharing with us at Mommy Monday. I pinned and tweeted- this is such a helpful resource, thank you! 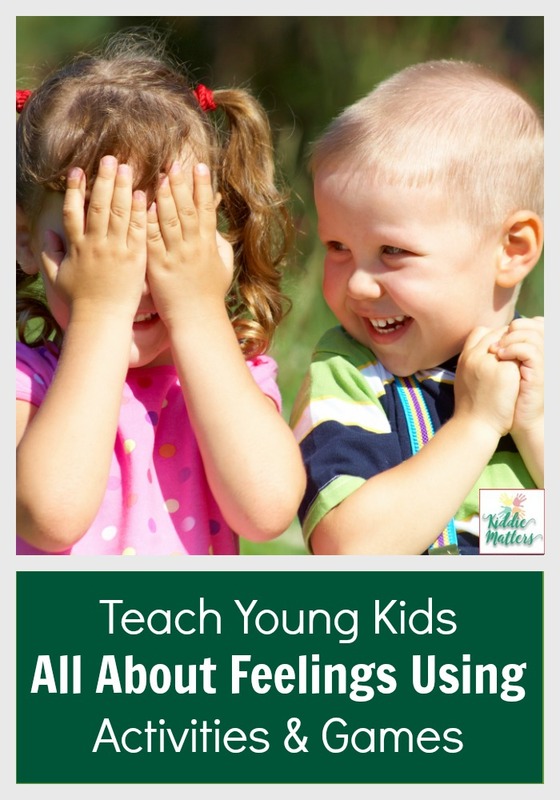 Teaching your kids about feelings is so important! What great advice and tips on how to help them learn about them! Thanks for sharing! This is so great! Pinning and sharing. Thanks for sharing this at Totally Terrific Tuesday last week! I can’t wait to see what you have lined up for this week! Our party is live right now! Love this! This is so important to learn at a young age, it helps with melt downs, confidence, communication. Love all the points! The important one for me is to be the role model for the kids. This is awesome! Thanks so much, pinning! You put a wonderful list together! Even though my kids are in the tween and teen stages, I remember when we’d teach them about feelings. 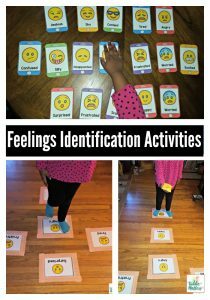 In fact, my daughter has autism, so these types of exercises/activities really helped with her understanding and learning about feelings. You even included some I never thought of. Great post! Great ideas! My 3 year old daughter is super sensitive and cries a lot. We are working on expressing how she feels using her words and ways to calm down. Great tips. Even though my girls are in their late teens, your advice is still applicable. I am also going to share with my nephew so he can apply with his three little ones. Thanks for sharing! I’m so happy to have come across your post featured at the Manic Mondays Blog Hop. I pinned your post and it is just perfect timing for my little one. Thank you for these great ideas! These are great tips. I was just talking about this recently with another mom who has younger kids. I remember going through this when mine were young. Now they have NO problem telling me! Great post! It’s definitely an on-going conversation we need to have with older children as their emotions become more complex. Thanks for sharing! When my kids were little I read a book called “Between Parent and Child” by Haim Ginott and it’s one of my top five parenting books. He advises you to say things like, “You feel mad,” etc. to your kids to give them words and to show that you understand. Sometimes it would sound a little goofy when we did this and we would even chuckle about it but I still think it’s a good technique. Leslie this sounds great! I will have to check out this book. This is such great information! We used to have the book “The Way I Feel”, and I loved reading it to the kids. Hmm…now you have me on a mission to find it again. One of my favorite children’s book. Hope you find your copy. I appreciate you stopping by! I like the part about singing. I have observed children learn much quicker when singing. These are awesome points. Yes! I know singing puts my little one into a good mood and if I want to grab her attention, I just sing! It helps her commit things to memory faster. Thanks for stopping by! I finally got to the bottom of all those wonderful comments. You obviously scratched where it itched. Thanks for bring this to Fridays Blog Booster Party. I wish all of this ‘light’ was talked about when my kids were young. We did better than our parents did with us. And now it is just fantastic to bring all this out and be able to talk about it, just as you are doing by teaching your children. I have to say I feel blessed to know what I know now. So many people struggle to understand and express their feelings. However, I am pleased that it is more acceptable these days to have open, honest discussions about our emotions. I’m so happy you found this useful! The song is one of my favorites. Kid’s always seem to respond well to music. Three is such a rough age. My daughter is three as well and is on an emotional roller coaster every other day 🙂 Good luck to you and I hope your son enjoys the song. Thanks for stopping by! It is a great feeling watching my kids mature and finally able to internalize the morals and values we teach them! My little one still struggles with grasping the concept of empathy, but having two older, mischievous brother doesn’t help 🙂 Thanks Aimee for stopping by and sharing your thoughts. Great advice! I love it! Visiting from the blog booster party! Thank you for these great tips and activities ideas ! This week, I’m doing feelings with my kindergarten students, I’m sure the feeling dice will be a sucess 🙂 Thank you for sharing.